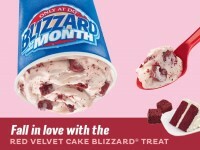 Dairy Queen’s Blizzard of the Month for August is the new Rolo Minis Blizzard. 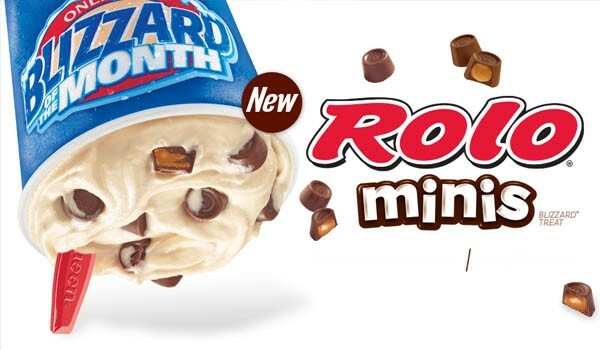 Rolo Minis are small pieces of caramel with a chocolate coating, and are mixed in to the Dairy Queen soft serve ice cream that has also been mixed with caramel topping. 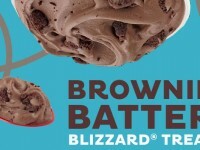 If you love caramel and chocolate, you will love this delicious blizzard. 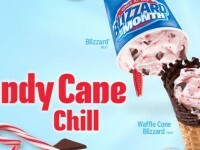 The Rolo Minis Blizzard will be available through August.